Tagetes is native to South America and Mexico, but now grows wild in Africa, Europe, India and North America and is a weed with deeply divided deep-green feathery leaves and numerous yellowish-orange carnation-like flowers. The leaves and flowers are a good insect repellent and are often seen hanging from native huts to deter swarms of flies and mosquitoes. Tagetes is an annual herb up to 60 cm high with soft, oval, pale leaves and bright orange daisy-like flowers. The essential oil is obtained by steam distillation from the fresh flowering herb and also an absolute (and concrete) by solvent extraction from the flowering herb. Tagetes is known in Africa as 'Khakibush'. It is now also grown in France andIndia. Tagetes is essentially a weed with deeply divided, dark green leaves with numerous ornamental yellowish-orange carnation-like flowers. Chemical constituents: Tagetes has various chemical compounds that include tagetones, ocimene, myrcene, linalool, limonene, pinenes, carvone, citral, camphene, valeric acid and salicylaldehyde. Extraction: It is extracted by steam distillation of the flowering herb. The therapeutic properties of tagetes oil are anti-infectious, anti-microbial, antibiotic, anti-spasmodic, anti-parasitic, antiseptic, insecticide and sedative. Tagetes oil is best known for its ability to keep insects away. It is also credited by aromatherapists as helping with parasitic and fungal issues, while also being able to facilitate the flow of mucous and loosening congestion. It has also been used on cuts, sores and bunions. Tagetes oil is valuable in keeping insects at bay and can help with parasitic and fungal infestation. It is used for chest infections, coughs and catarrh, dilating the bronchi, facilitating the flow of mucus and dislodging congestion and can be used in cases of skin infections. The unusual smelling essential oil of tagetes will help focus on emotions and is used with great effect to treat fungal infections and boosts the respiratory system, by dilating the bronchi and facilitating decongestion. It is used in moderation for bruises, burns, calluses, Candida, corns, cuts, eczema, fly repellent, fungal infections, inflammations, insect bites, rashes, sore muscles, sprains and warts. Tagetes is used in making herbal soap bar due to its excellence properties and sweet, citrus odour. This herbal indulgence is based on a tagetes oil handmade soap, but with special herbal extracts to create the most luxurious bath soap. Apart from the herbal extracts, there is also included dried tagetes petals to add more color to the soap, as it contains no artificial color or fragrance and relies solely on the natural color and fragrance of the herbal ingredients - which are superb, for skin care and helps with cell rejuvenation, wound healing, reducing inflammation and it sooths and softens the skin. Tagetes pure oils can also be used in lotions, massage oils, diffusers, potpourri, scent, air fresheners, body fragrance, perfume oils, aromatherapy products, bath oils, towel scenting, spa's, incense, light rings, laundry, facial steams and more. Tagete oil has unique place in perfumery being used in men's perfumes, and for general use to support floral themes, where it blends well with many absolutes. More importantly, tagete oil, with its radiant power and diffusiveness, and the ability to impart lift to perfumery creations, is used in small amounts in many perfumery situations to impart green and fruity top notes (e.g. for white floral fragrances). 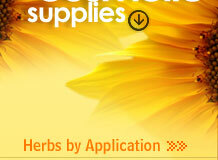 The whole plant is harvested when in flower and distilled for its essential oil. The oil is used in perfumery, it is blended with sandalwood oil to produce 'attar genda' perfume which is very popular in Asian countries. About 35 kilos of oil can be extracted from 1 hectare of the plant. Tagetes Minuta, blends well with jasmine, bergamot, clarysage and other citrus oils in very small percentages. It is also used for flavoring tobacco and in most major food categories, including alcoholic and soft drinks. In China the flowers are used for whooping cough, colds, colic, mumps, sore eyes and mastitis. Tagete infusions, tinctures and juice from the leaves of Tagetes spp. have been globally used as traditional food additives for many years, tagete oil itself being used for it's anti-microbial, biocidal and other properties. Biocidal uses include tropical uses as a blowfly dressing for livestock and as a mosquito larvicide. Tagete oil is extensively used as a flavour component of foodstuffs, at a usage level in condiments and relishes. Tagetes oil secretions from the roots of growing plants have an insecticidal effect on the soil, effective against nematodes and to some extent against keeled slugs. These secretions are produced about 3 - 4 months after sowing. The whole plant contains substances that are toxic to cockroaches. The growing plant repels whitefly and can be grown near tomatoes to keep that crop free of the insect. A yellow dye is obtained from the flowers that is used to colour foods and textiles. The flowers are sometimes used as an adulterant of saffron. 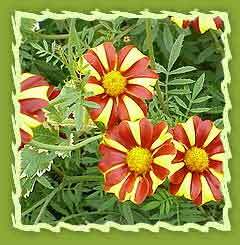 Tagetes oil is used in South Asian countries for spraying in green house and tissue culture labs to stop fungus growth.